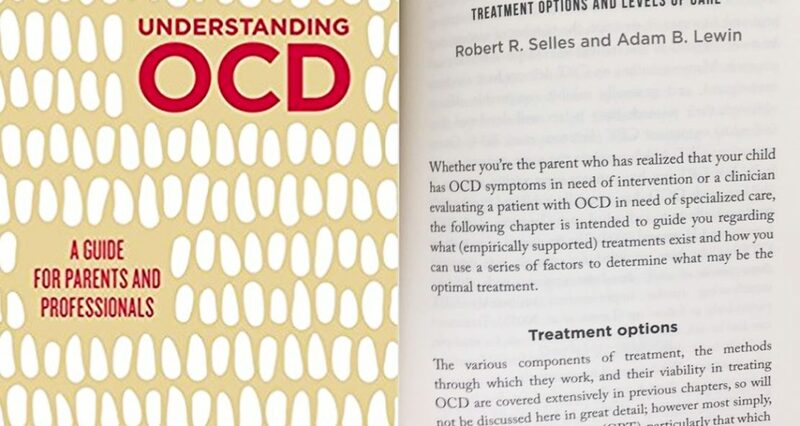 We at Cornerstone are excited to share that there is a great new book on treating OCD featuring a chapter by our own Dr. Robert Selles! Dr. Selles completed this chapter while training with Drs. Storch and Lewin (leaders in the field of OCD treatment) at the University of South Florida. Dr. Selles’ chapter focuses on helping both parents and professionals make decisions about the type of treatment that is best suited to their needs and preferences. Specifically, the chapter outlines how certain features of a child or teen’s OCD may help identify the most appropriate approach to treatment.They discuss how severity of symptoms, the extent to which the OCD has gotten in the way of a youth’s life, personal preferences, types of OCD and family involvement are all important considerations when making treatment decisions. It then identifies how these factors might influence clinicians’ and families’ decisions to select medication and/or a specific approach to cognitive behavioral therapy (“CBT” for short), such as completing treatment using self-help materials, deciding between an individual versus group format, identifying when parents should participate in sessions, and discussing when intensive and/or residential options may be beneficial. To learn more about Cornerstone’s approaches to OCD treatment, or to book an appointment with Dr. Selles please contact us.